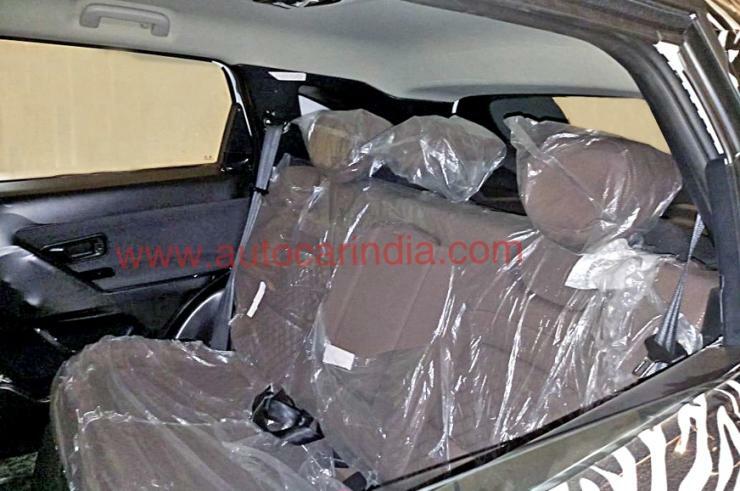 Tata Motors is busy testing the H5X SUV on Indian roads and here’s a big leak straight from the Engineering Research Center of the automaker at Pimpri. The H5X has been spied inside out, but with heavy camouflage. 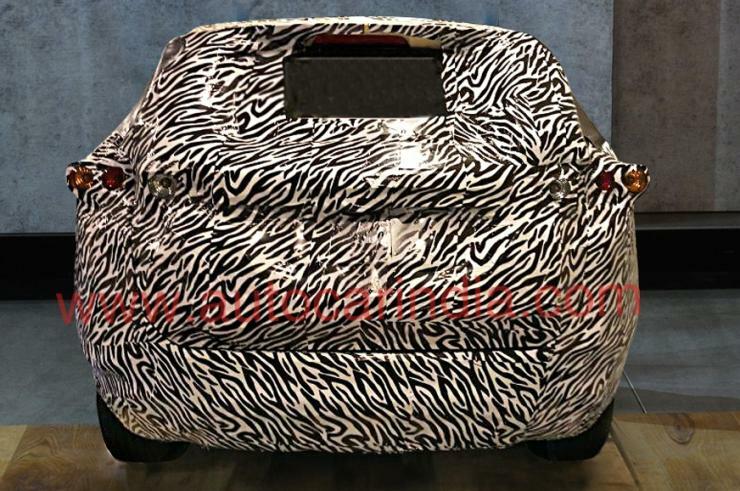 Despite the camouflaging, the spyshots does give us an idea on what the SUV is hiding underneath. The exteriors of the SUV look similar to the concept version but there have been allowances made for serial production. The wheels on the test mule are smaller and the body also shows more conservative design lines on the profile. The front and rear lighting also seems different. The interiors of the vehicle show that the dashboard layout and other bits will not be as minimal as those of the concept version. The vehicle could have black interiors with a beige roof and black door inserts. The seats seem to be finished in plum colour, which is generally used by luxury cars. The center console shows a 6 speed manual gear shifter and there is a four wheel drive knob missing in this variant, indicating that it’s a front wheel drive model. The H5X has a large rear seat with space for three passengers. 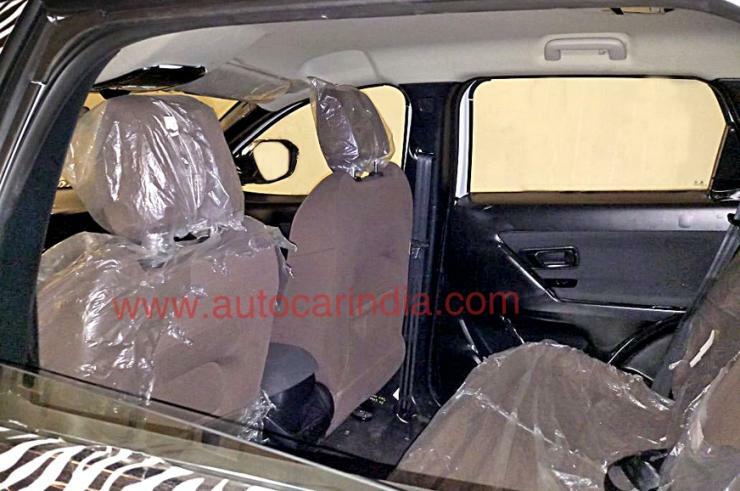 There are no rear AC vents which means that this could be a lower trim model or that Tata may do away with rear AC vents across the range. The SUV uses the LS550 platform from Land Rover. The mechanicals will be different though. The engine and gearbox will be from Fiat and ZF respectively. The 2 liter Multijet turbo diesel engine will produce 140 Bhp and 320 Nm on the H5X. 6 speed manual and 9 speed automatic gearboxes from ZF will be offered. 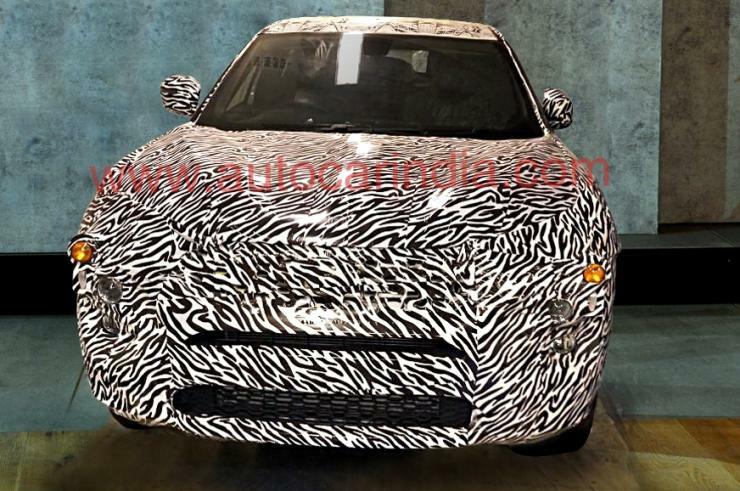 Both front wheel drive and four wheel drive layouts are also expected. The H5X is expected to start from Rs. 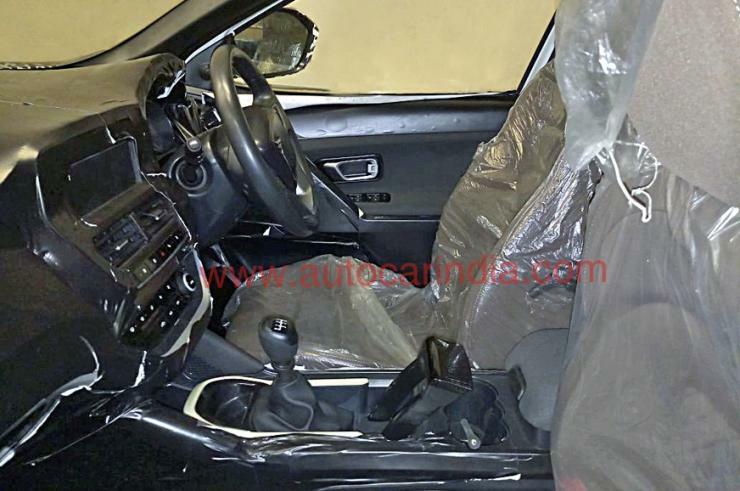 13 lakhs, and will compete with higher variants of the Hyundai Creta.